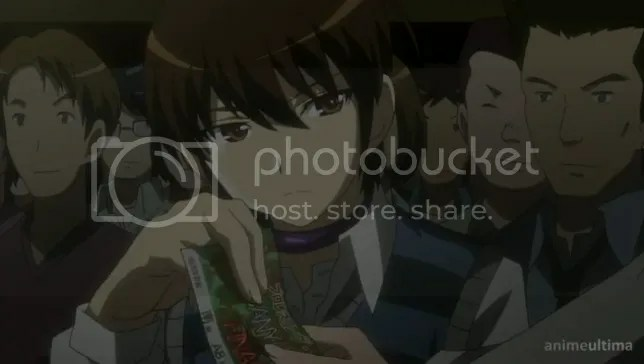 Keima catches Jun at a wrestling tournament. 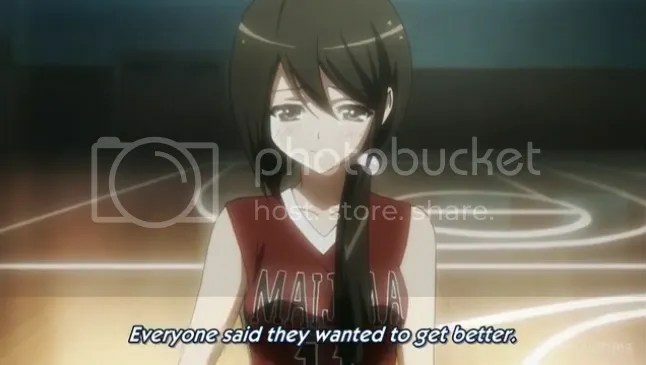 Once there, the two bond further, and Jun seems to develop feelings for Keima that lie outside of student/teacher boundaries… Although Jun is having a good time, Keima quickly shatters her happiness by bringing up memories of the failed basketball team. This upsets Jun and she leaves in a huff. Jun's sort of a ditz but I love her for it. The next day at school, Jun reveals to her class that she entered all of them into a marathon. Obviously, the students are displeased, and strongly voice their opinions. This causes Jun to despair and run away once again. Keima follows after her, while leaving Elsie with a plan to be put into motion after a certain amount of time. He catches up with Jun in the old basketball locker room, where she then runs to the gymnasium. Keima sure has some pretty good ninja skills for someone who's supposedly not physically fit. Jun’s at her breaking point, and fully voices her feelings to Keima—she works so hard for the sake of others and yet people hate her for it. She just doesn’t understand it. Keima comforts her and tells her to just work harder, and to stop caring what other people think. Soon afterwards, her class of students find her (thanks to Elsie’s suggestion) and apologize to her for their earlier behavior. Jun’s confidence is restored and the loose soul is eventually captured. Hopefully she becomes a better teacher after this experience! Something about that angle looks... off..
Jun: The students don’t like me! I don’t understand why! 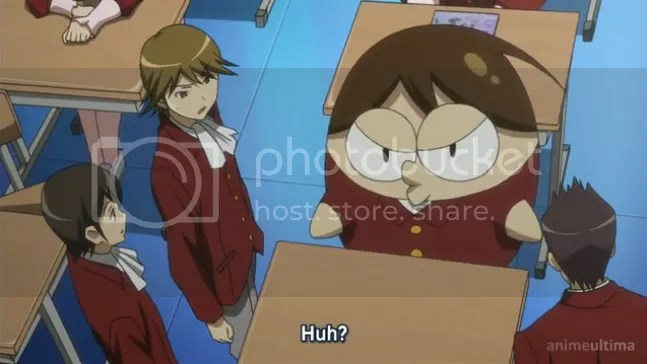 Keima: It’s because you’re always forcing your ideals onto people! Jun: Then what am I supposed to do?! 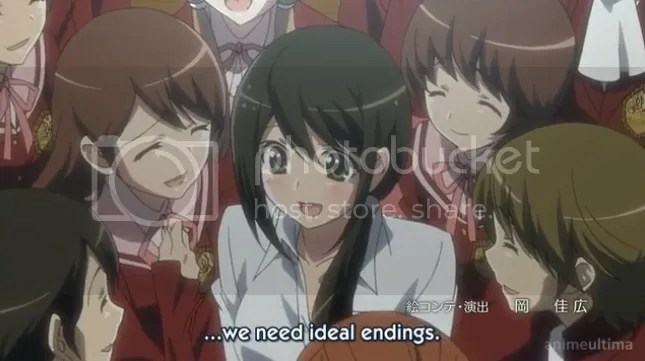 Keima: FORCE YOUR IDEALS ON THEM HARDER! I don’t know, it just seems kind of… counter-productive to tell Jun to do something like that. Jun really SHOULDN’T force her ideals onto other people so much, but yet… Keima tells her to do just that. I guess the main issue here is actually Jun’s self-esteem, because she seems to shrink back at the slightest bit of criticism, but… I dunno; this whole capture strategy just bugs me, I guess. 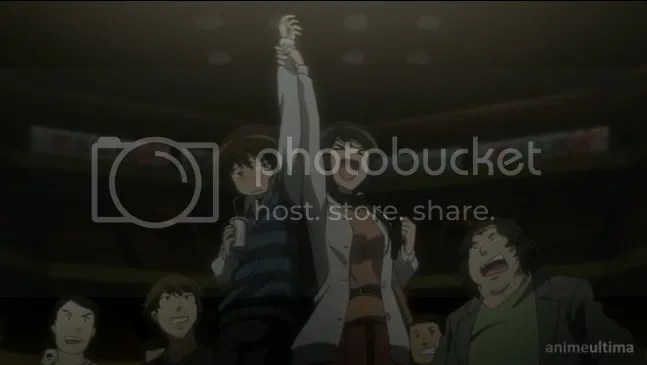 Another thing that makes this one of my less liked arcs is the fact that this episode was actually a little bit boring for me at times, especially during that wrestling match. 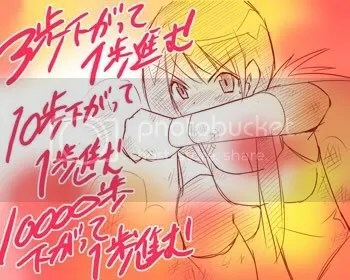 I watch TWGOK for the capturing, not for the wrestling! This problem isn’t present in the manga as the manga chapters are pretty sparse, but in the anime I suppose the producers needed to find a way to fill in the rest of the time as Jun’s actual capture goes by pretty quickly. That being said, it’s a shame that the last capture of this season ended on such a subdued note. They can’t all be as fancy as Mio’s capture, or as badass as Kusunoki’s I guess. 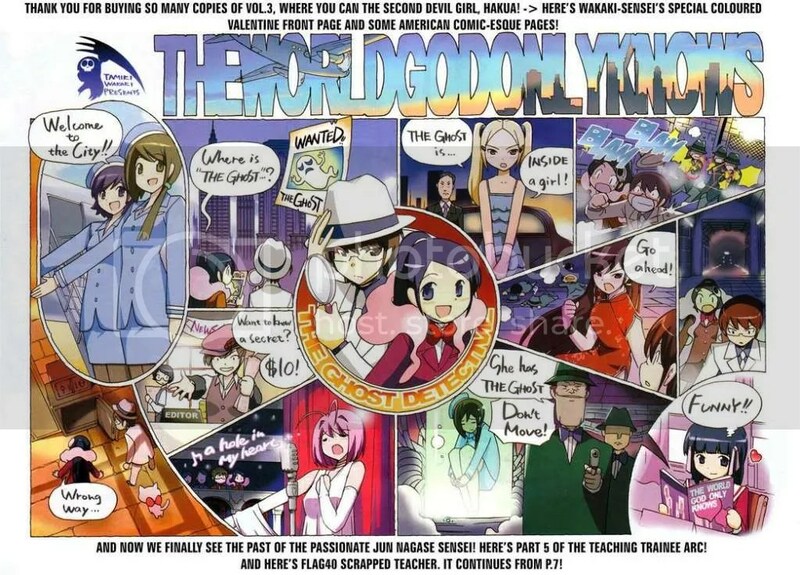 The next and last episode is a “filler” one judging from the title. Hopefully the studio has learned from last season!